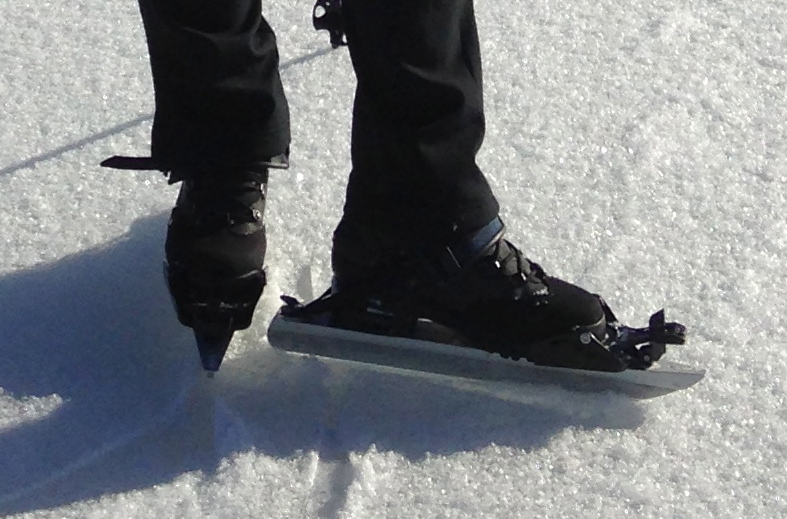 A friend has turned me on to great Nordic skates that I can use with my three-pin boots. This means the end of cold hands wrestling stiff skates. Ice is shaping up nicely in the area for wild skating. Read my column about a practice run on Mirror Lake.